THE CITY’S Planetarium welcomed its oldest male visitor through the doors last week. 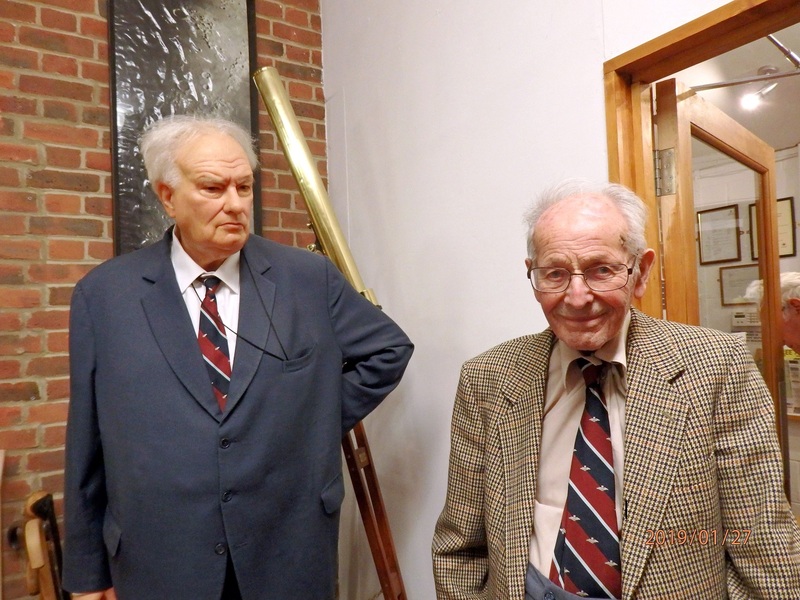 Wartime pilot Jimmy Birchal attended a public show at the South Downs Planetarium on January 27. Jimmy, who will be 96 this year, was a Flight Lieutenant who flew Lancasters in the Second World War and he has always had an interest in the night sky. As a resident in Selsey, Jimmy was a neighbour of the late Sir Patrick Moore, who flew as a navigator in the war. Jimmy greatly enjoyed his visit to the Planetarium, watching a show about the Northern Lights, the aurora borealis. He recalled how he had often seen the Northern Lights while training as a pilot in Canada during the war. He had an eventful wartime career, finally being shot down and ending the war as a prisoner of war in Stalag Luft 3, the Luftwaffe-run POW camp which held captured Western Allied air force personnel. The camp is best known for the escape plot by Allied POWs in March, 1944, which was the basis for the 1963 film, The Great Escape. The Planetarium’s oldest female visitor was a 96-year old woman who had served with the Special Operations Executive in the Second World War.